Summer is here. How to look desirable in such boiling weather? 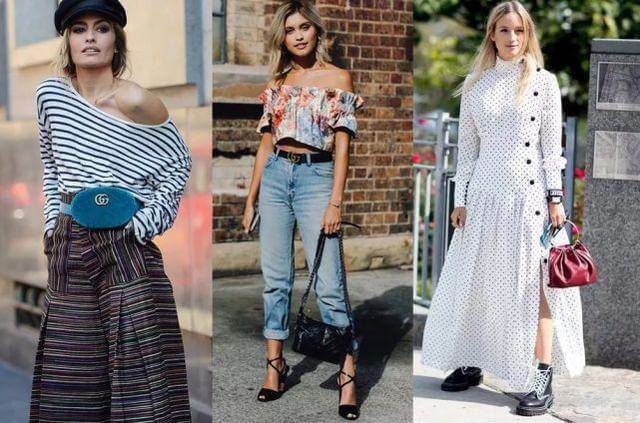 Here we have compiled 9 summer funky rounties being followed by fashion bloggers—and everyone is worth copying. Moreover, we are also going to attach a list of direct purchase items to tell everyone what you can wear in summer. 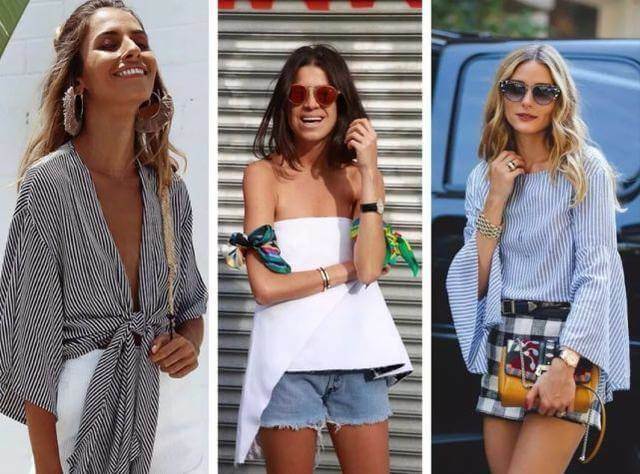 A blouse made up of airy and breathable material is the real summer staple. Be it an elegantly stitched or a casual blouse—it is fit for all occasions. In summer, long-sleeved blouse work as both airy and sun-blocking. When paired with denim shorts, a formal looking blouse gets a sense of femininity. This is something that would suit all leisure occasions like music festival and partying. When dressed too formally in summery days, who would like to have fun with you? Ah! While you are on the streets, look for different material and style. If you are going shopping or to work, make sure you are wearing right shoes. You can also add a thin blazer, light weight leather jacket or a wind jacket to your shorts. Ah! In summer? Many times, temperature drops as day passes and it becomes windy and cool in the night—or you might have to spend time in an air-conditioned room. So, the girls who want to stay cozy, must try this inspiration. I would personally recommend this cool idea for fun-filled events like music festival where girls get together. Addition of a tasseled jacket transforms your outlook into a western girl. A neutral wind coat is widely popular whether it is fit or oversized. For suit jacket, look for lightweight fabric that is not too stuffy and you can easily wear it in steamy summer. 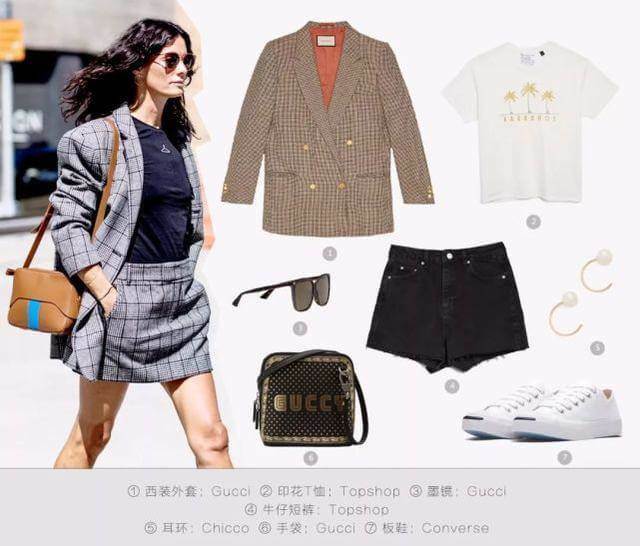 Pairing up suit jacket with shorts and skirts is OK! If you want to add a flair of femininity, you can choose to have waist detailing to accentuate your waistline. Experiment with a trendsetting velvet jacket to get a formal and professional style—just like men. After all, girls can beat men in terms of business style. 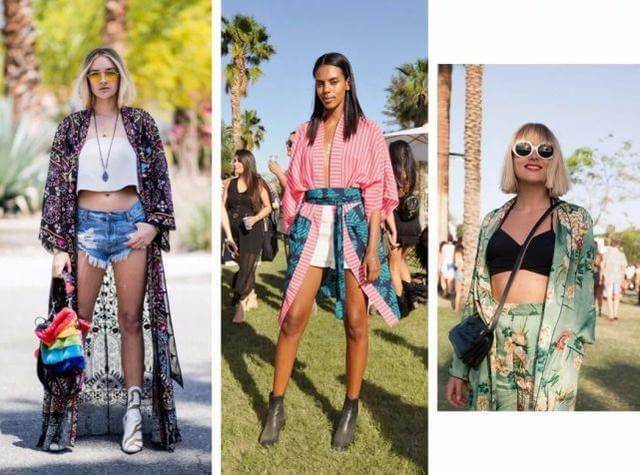 Kimono is a boho-inspired easy-to-wear fashion staple (especially suitable for festivals). For summer, these are best paired with shorts and skirts. Pick ankle boots for footwear to complement the look—just like LOS ANGELES’s sunny girl. Kimono fabric should be light and airy to keep it from a formal feel. These are ideal for casual occasions. These body friendly fashion staples are also quite suitable for sun protection. Rich in style, kimonos are available in a variety of prints. 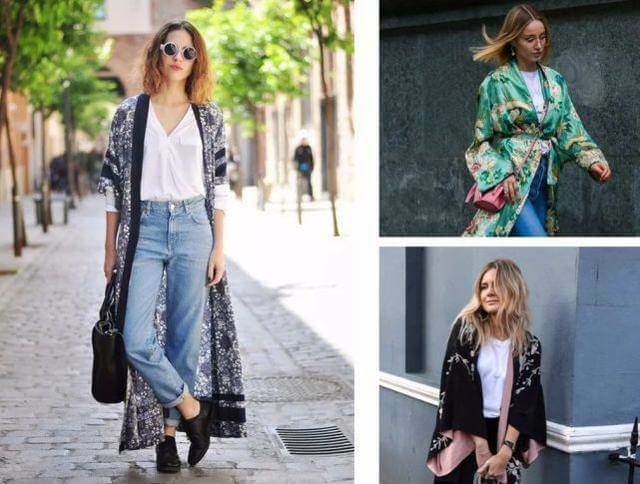 For everyday use and street style, opt for middle to long length kimonos. Remember to team it up with high waisted denim trousers. Who says that music festivals like Coachella are only for young girls? 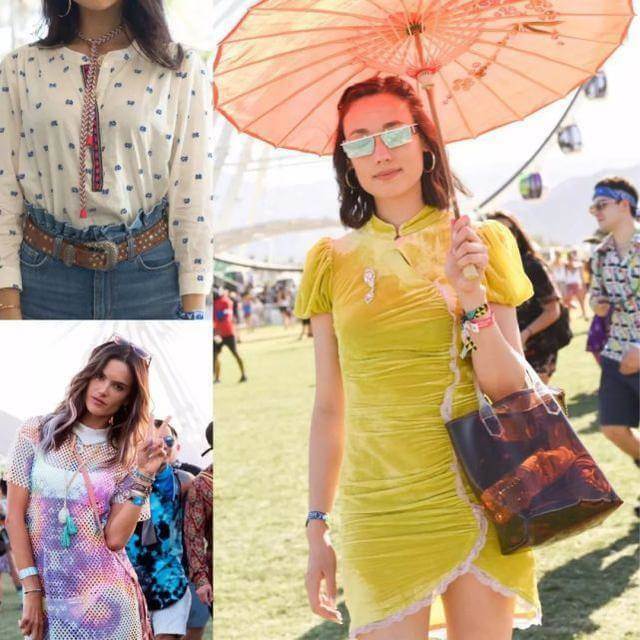 Mature and intellectual girls too can come to Coachella. At this time, the music festival is at its peak. 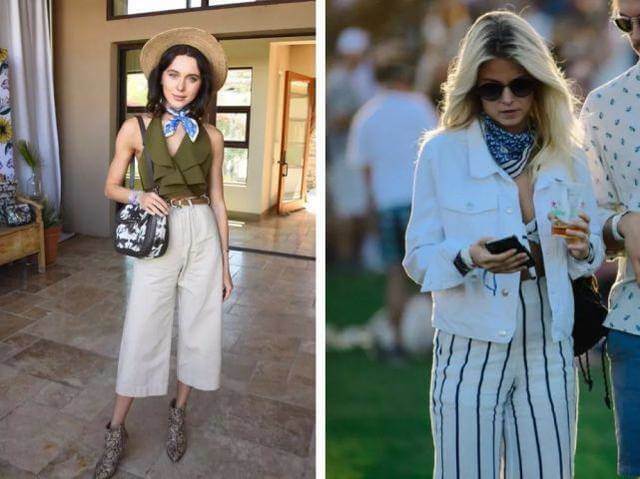 To get an effortlessly chic look, use wide-leg pants to take a vacation-style camisole, and stay stylish and comfortable. 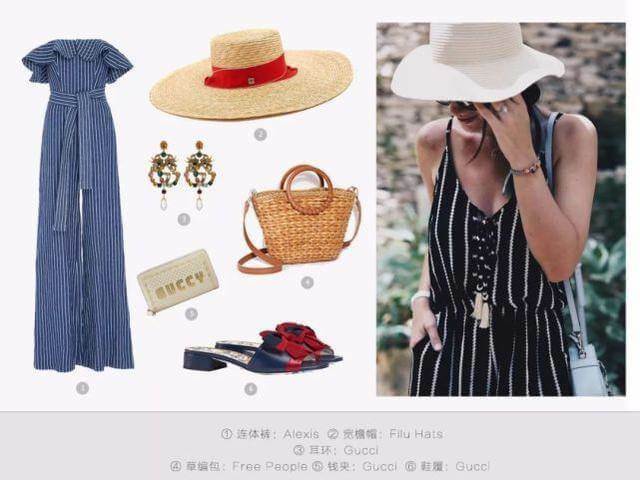 Striking accessories, such as straw hats and scarves, will definitely allow you to immediately integrate into the environment. It is very feminine to show beautiful shoulders in summer. If you do not want to reveal, just wear a T-shirt with Wide leg pants. Women with H-shaped body should prefer straight pants while pear-shaped bodies should be dolled up with flared pants. It balances their curves well. Check out this look, it can be switched from office to after-hours with ease. Pulling on a one-piece outfit is something particularly summery. It was the festivity of April music festival that girls had to wear one-piece summer dresses in spring. But the real summer season is here now. No one could resist the temptation of a skirt. Girls wear a variety of skirts: printed, strapless, pleated and so on. Look at our supermodel AA, even after giving birth to two babies, she is wearing a small skirt and still looking so young. In order to have fun at the festival, there are gals who choose to flaunt their bodies in comfy jumpsuits. With this one-piece outfit, they do not have to worry about what to pair with it. Those who don’t know what to wear in summer, the best way to deal is to put one piece on. You don’t have to spend time in thinking about matching and fashion accessories—let your mood decide. 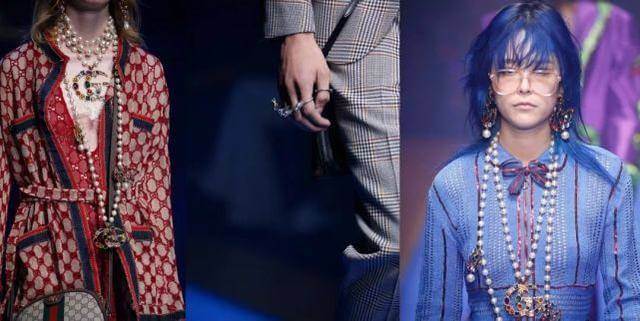 Like a skirt and jumpsuit, a set of clothes is a summer fashion staple that promises a more refined and complete look. And who says that these two pieces should always be the same? Read on to know more. In fact, in everyday life, suits give a more decent and elegant look. Secondly, you don’t need to spend hours in matching them. You don’t necessarily have to buy a two-piece suit. It can be worn with any item in the same color scheme. This set is for you to flip through to get some idea of it! When the blouse was no longer able to meet the high demands of the delicate girls, the crop top was born. Pairing it up with high waist pants not only makes your legs look two meters long; but it also accentuates your waistline. 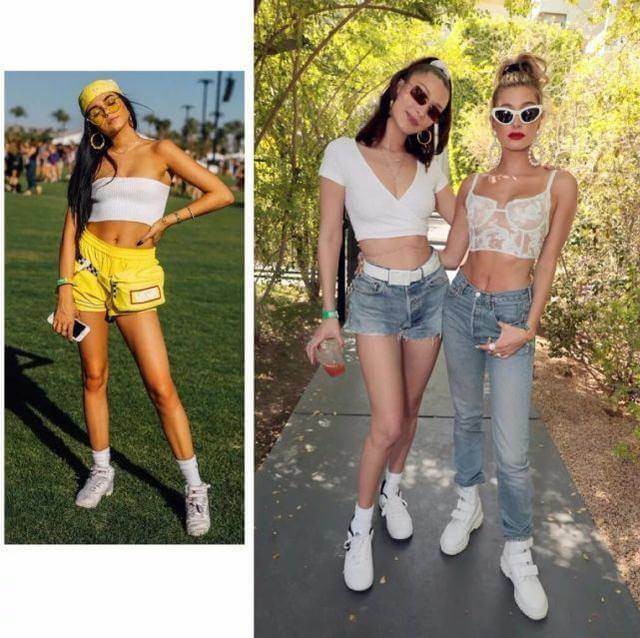 So, put together your crop tops for next season of Coachella music festival. Talking of Coachella, this year’s inexplicable resurgence of knotting trend has taken all by storm. First it was a tee that we used to knot but now is the turn of crop top. It feels sexier than simply wearing a crop top. 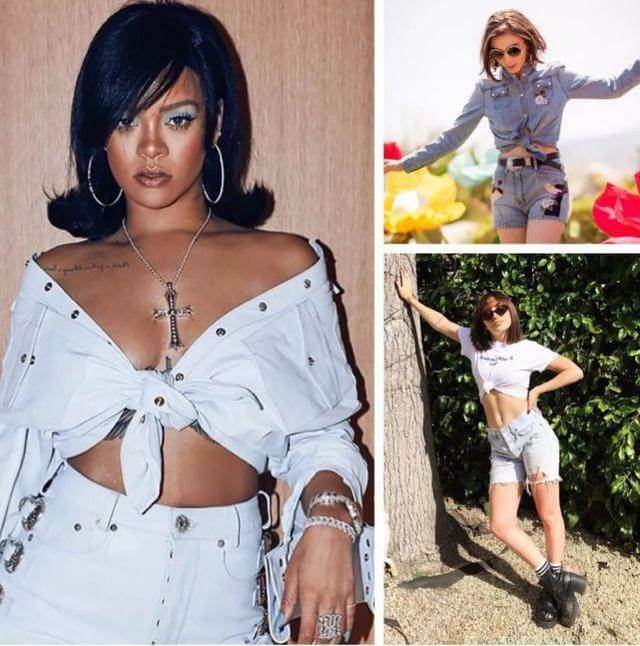 You don’t believe me, take a look at Riri’s flirty avatar from Coachella 2018. 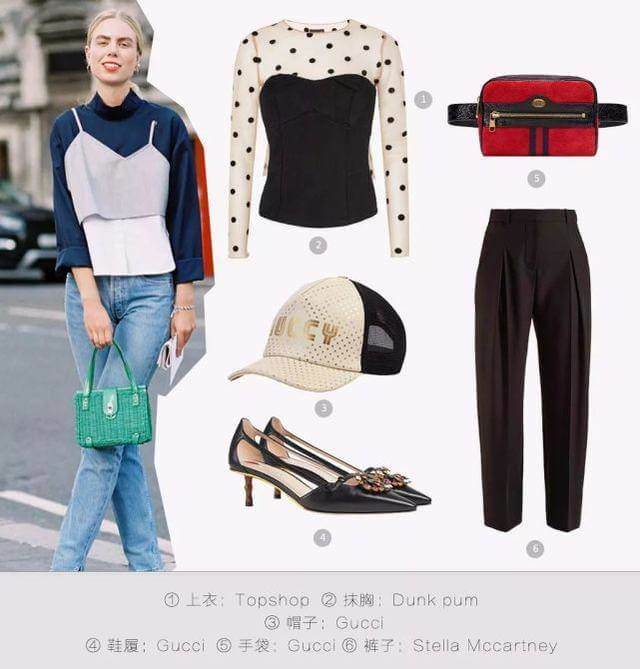 Crop tops are purely summer staples—especially popular for a bold street style. You know what, it can be used in office attire as well, if managed gracefully. Wanna know how? Make sure it is not too revealing around the stomach area, as it would not look good on a middle aged professional girl. This sassy style is particularly good for fun-loving teens. Wearing a shirt dress is just like wearing a top coat only. But of course, they wear shorts underneath—which remain invisible. This summer style transforms a dull and boring look into a very young and energetic avatar. If you want to highlight your legs, show off your shorts. 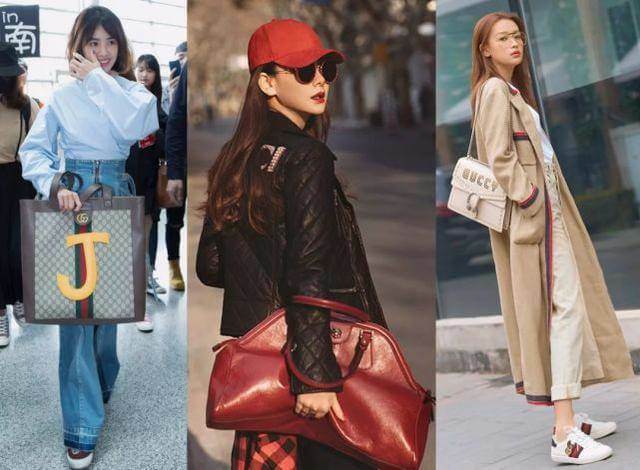 Many female stars love to dress up this way at the airport. You too can do that but girls need to be confident enough to flaunt this look. Girls who like this kind of outfits must learn to proportionate the length of the shirt. We do not recommend one that is too long—it will look like a skirt. The ideal length is the one that covers the sides of the pants. Even petite girls look cool in this trendy summer piece. If you want to get the illusion of long legs, just wear a coat. In Europe and America, it is quite common to wear undergarments openly, especially in festivals. 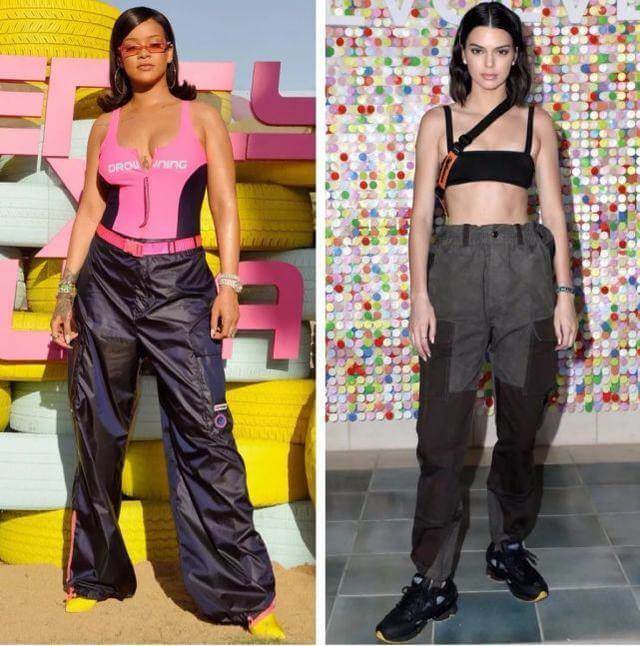 You don’t believe me, take a look at the stars like Riri and Kendall. This is an exaggerated style that we cannot follow in everyday life. Implementing this bold style (tight bras and loose bottoms) perfectly adds an innovative and avant-garde style to your personality. Summer is all about wearing light weight and airy clothes. We often try to wear less. But it is not possible on all occasions. To avoid an over-exposed look, it is quite trendy option to opt for a sheer gauze over the undergarment. Doing so makes it a practical option even for street style. This sheer style can also be used the opposite way. You can wear a thin transparent shirt as a base, layered by your bralette as a tube top. This would be a pretty good idea for big chested girls. Mature girls with conservative mindset might dislike this inspiration but this makes you look stylish for sure. 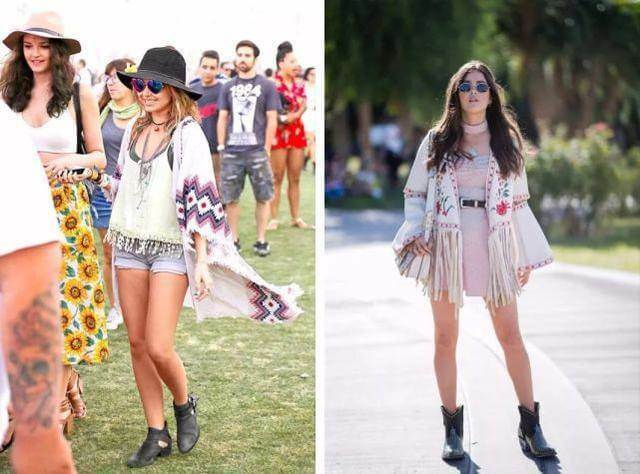 Most of these are Coachella-inspired outfits but you can freely pull them off in everyday life. Never forget to focus on using the right fashion accessories—especially in summer, when it is about more skin show (arms and legs). Bags, earrings, necklaces, scarves, and sunglasses—all are tended to support your style. Jewelry adds more to your style statement. Check out Gucci, Baroque wind of multi-colored gem for a retro appeal. For a neutral flair think about the elegant silver animal totem jewelry. Keeping in view the intensity of weather and lightness of the outfits, it is imperative to look for the most suitable jewelry items. Avoid from piling up too many pieces at a time. Remember, it is your summery outfit that will serve your beauty. So, incorporating one or two fashion accessories would be enough. Okay~ summer is all about mixing and matching. 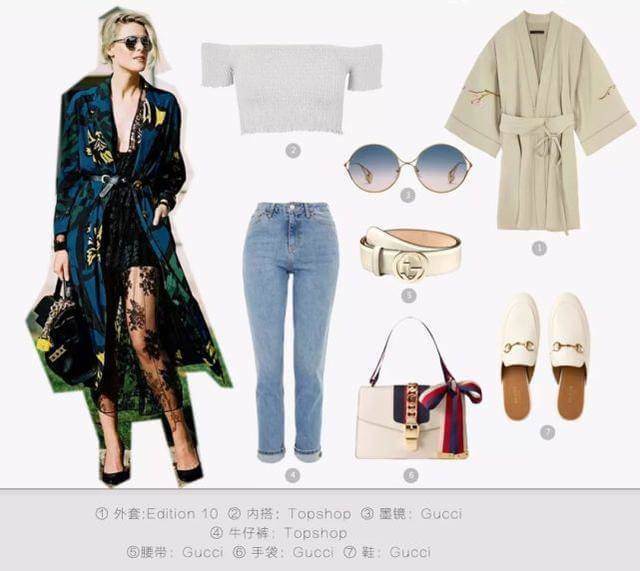 I really hope after going through our list, you have got some cool inspirations for summer fashion looks for your next summer holiday.